People who are struggling with depression are usually willing to do whatever it takes to find some relief. Many people believe that pharmaceutical companies prey on this to be able to sell more medicine and hence make more money. The truth is that psychotropic medications have many side effects; in fact, many are known to cause depression even though they’re prescribed to treat exactly this condition. These days even young children are receiving prescriptions for conditions that used to be dealt with differently just a few decades ago. It seems like when kids have problems in school the teachers automatically want them to be medicated. The results of this practice are devastating to both parents and children. Most of the time some type of addiction is formed and the victims then have to face decades of struggle. There are some psychological or emotional problems that do need to be treated with medication, but most of the times the pills work for a short period of time and then stop having an effect because the real problem was never addressed to begin with. One man was prescribed medication to help clear his skin when he was around eleven years old. One of the side effects of that was severe depression that he is still trying to control now as an adult. The person isn’t given any useful tools to be able to overcome whatever is troubling him or her. The solution seems to be reduced to ‘take this pill and it will all go away’. That is hardly ever the case. Akathisia is one of many side effects of antidepressants. Akathisia is a movement disorder characterized by inner restlessness and an uncontrollable need to be in constant motion. Those who suffer from it may recur to actions such as rocking while standing or sitting, lifting the feet as if marching on the spot, and crossing and uncrossing the legs while sitting. Many people with this condition see death as a welcome relief, from the discomfort caused by the constant need to move. 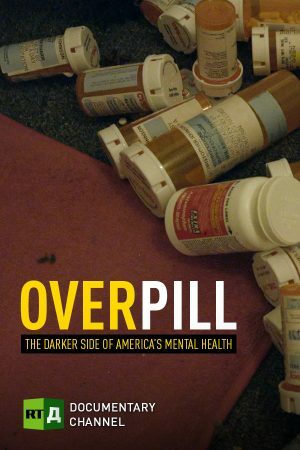 One psychiatrist has spent decades studying the effects of psychotropic medication and has helped many overcome their addiction to them. His studies reveal that giving psychotropic drugs to monkeys turns them into good caged animals that no longer socialize. Is this really what parents and teachers want? Watch this now. This short documentary analyzes the hypersexualization of our environment and its noxious effects on young people. Psychologists, teachers and school nurses criticize the unhealthy culture surrounding our children, where marketing and advertising are targeting younger and younger audiences and bombarding them with sexual and sexist images.